Toyota Corolla E10 is the first generation of one of the most iconic and highest selling automobiles ever to come out of the Land of the Rising Sun. Built between November 1966 and April 1970, the E10 Corolla was produced at Toyota’s Takaoka plant in Toyota City, Japan. 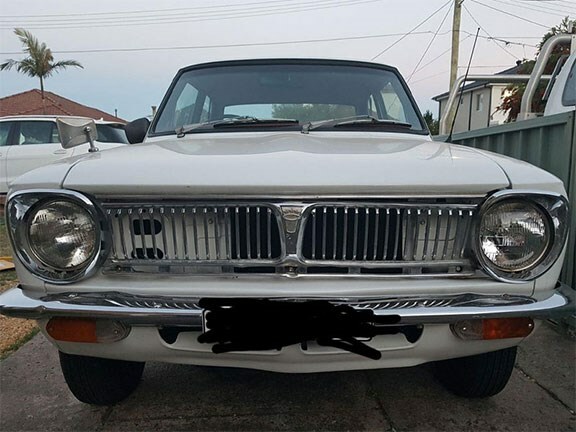 However, the Corolla was also built locally in Port Melbourne, Victoria, with Aussie production kicking off in July 1968. Designed by Tatsuo Hasegawa, the Corolla could be had as either a two or four-door sedan, two-door coupe or a two-door wagon. Power came from either a 1.1lt ‘K’ inline four-cylinder or a 1.2lt ‘3K’ inline four-cylinder, and the shove from these donks was sent to the E10s rear wheels via either a four-speed manual or two-speed automatic transmission. This particular E10 Corolla is a two-door coupe variant and, according to the seller, the vehicle has been fully restored both inside and out. The Corolla is $14,999 and anyone interested in this Japanese classic can view the full listing here.